Wargaming Forum and Wargamer Forums > Warhammer 40K > General 40k > Q&A with a 'Eavy Metal Painter and Designer. Q&A with a 'Eavy Metal Painter and Designer. We are writing an article about David Heathfield one of the longest serving 'Eavy Metal Painters and Designers as well as a Golden Demon winner. Any questions or queries you have, write them down below and we will get back to you with his answer. 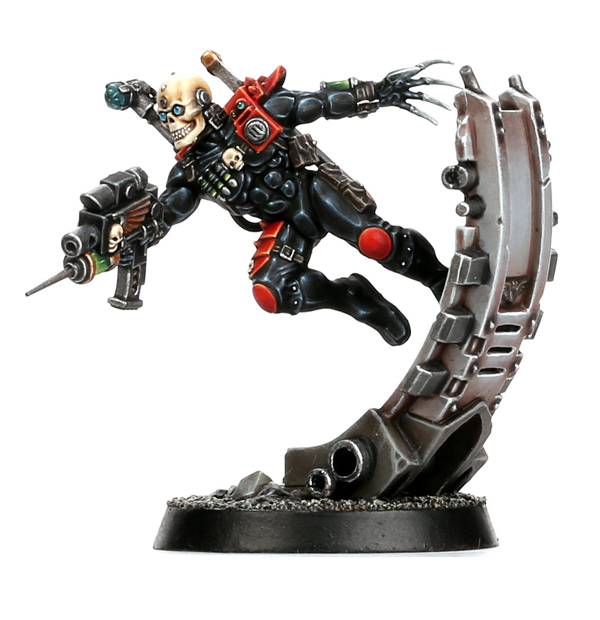 -how can you keep consistent painting level over hundreds of models? you really never botch a job? -also, how do you keep painting without gettin mad? i mean, it's your job and i get it but... where lies your breaking point regarding minis to paint? We asked for your questions all over the internet to put to our wonderful and talented new designer. You replied and now here are his answers. Real life building? Err.. My nan's house. I don't know. I was thinking like Wayne Manor but that’s not real. The Greggs in Cardiff City centre, I don't know I am stumped. I'm trying to make it interesting. 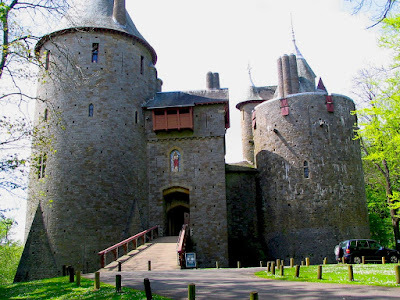 Castle Coch. Currently, it is our upcoming fantasy house project. They are looking Sweet! Dave Andrews and The Rackham Team. Bleach Bone, if I ever need a highlight colour its bleach bone. Yes, loads of times. But you have to paint the back afterwards to finish it. When I was an 'Eavy Metal doing the colour variants we only ever painted the front. 7 – Favourite faction in the Warhammer Universe? 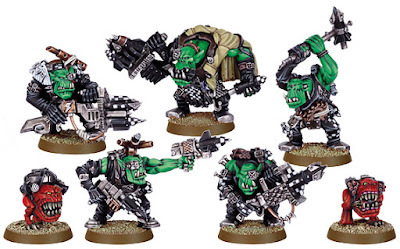 My favourite to paint are Orks, they are really fun. 8 – Sculpting or Painting? Painting is so much easier and less stressful. 9 – Favourite Memory from Salute? The year it was Zulu themed one of the prizes I won was a Zulu Warrior Spear. I had to travel across London with it to get it home. I think I was stopped about 15 times and nearly arrested 5 times. It was interesting getting back to Cardiff. A decent lamp and decent brushes, that's all you need. I just kept bugging Darren Latham until he gave me a job on the 'Eavy Metal team. If I don't paint it straight away I lose interest, so as soon as possible. Yeah but I'm not going to upset any of the sculptors. I never had to paint armies, it was a maximum of 5 figures at a time. You just switch off and put your headphones in. I used to go into the workshop at like 5 o'clock in the morning to just spend a couple hours painting before I started work painting. Do the bits that you want to do and the rest of it should work its way out. If there is something you are unsure of put it to one side and do just the bits you know. Stick to a tried and tested formula, when I was at 'Eavy Metal it was almost like painting by numbers. It means everyone's figures look the same. You don't you just go mad. When you are an 'Eavy Metal you are not allowed they whip you to keep on painting *wink*. No, doing it as a hobby first made it more fun to then continue it as a career. If you have any other questions leave them as comments on here or our other social medias and we will try and do another Q&A with Dave.